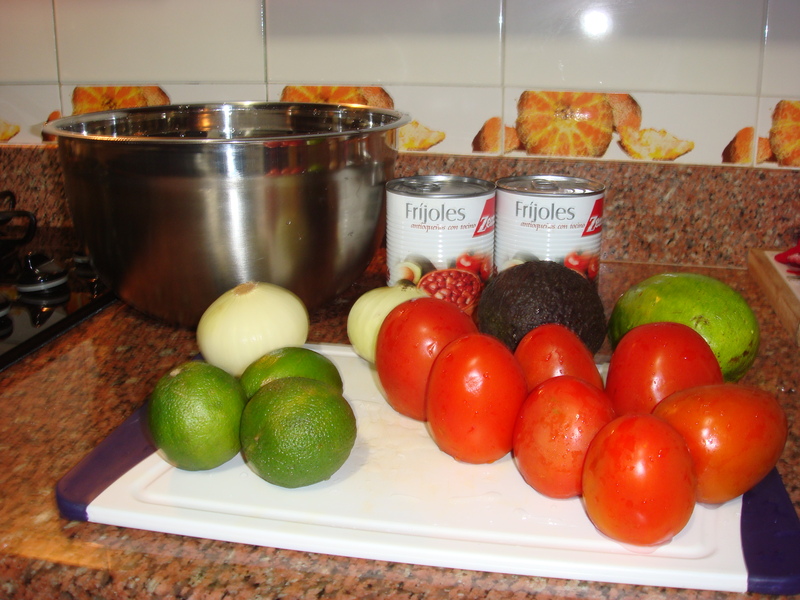 Since being in Colombia for 1 week now I’ve discovered some favorite foods that are readily available: avocado, beans, tomatoes & onions. 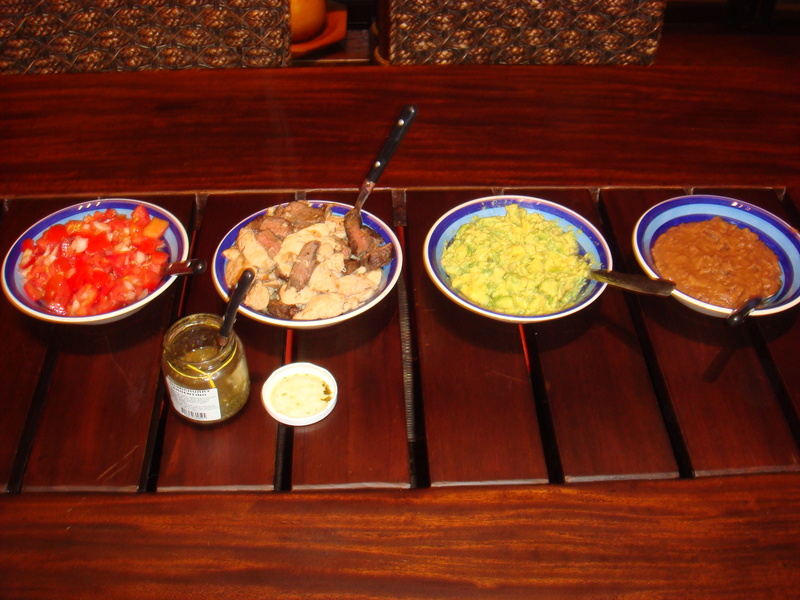 Last night we made delicious chicken & steak fajitas with a Colombian twist. 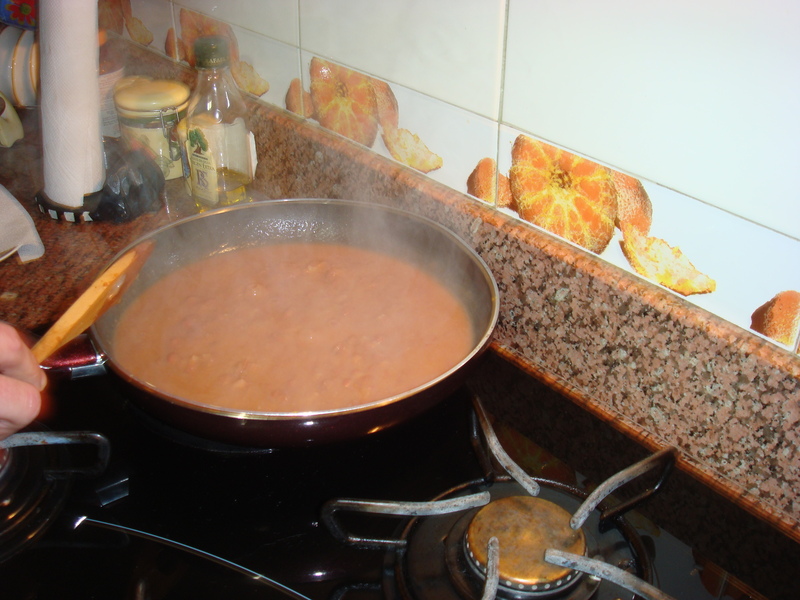 Another twist is to pan fry the beans. 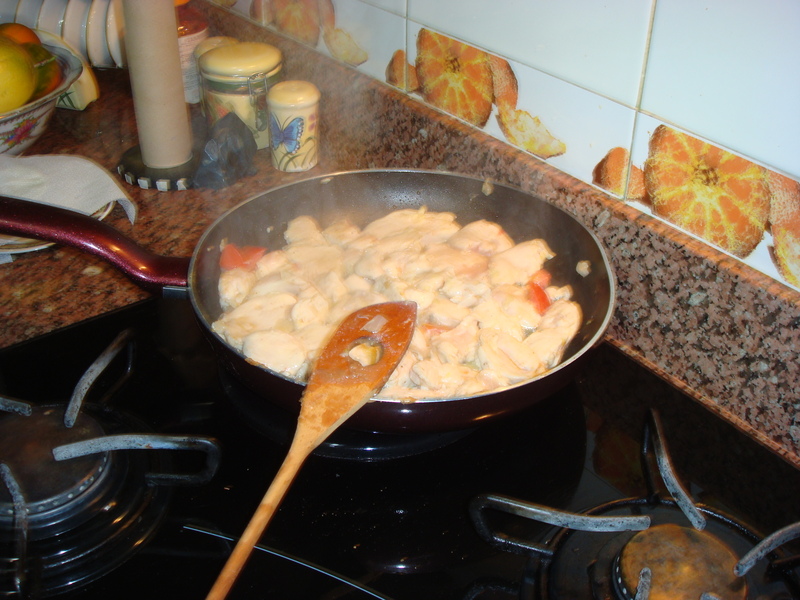 Without draining them; cook until all the liquid has dissolved, and they become a thick paste. It doesn’t look very appetizing, but they are so good. Kind of like a warm hummus. 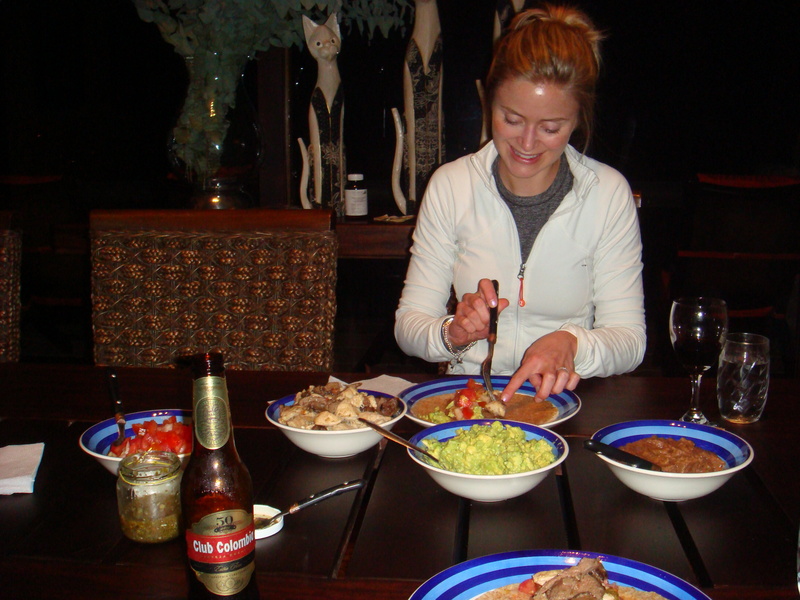 And of course we made a simple guacamole that consisted of: avocado, lime juice, cilantro, and salt & pepper. We also cooked up some chicken & steak, and the best part is that they don’t use any antibiotics or hormones in their meat here – it’s local & natural. 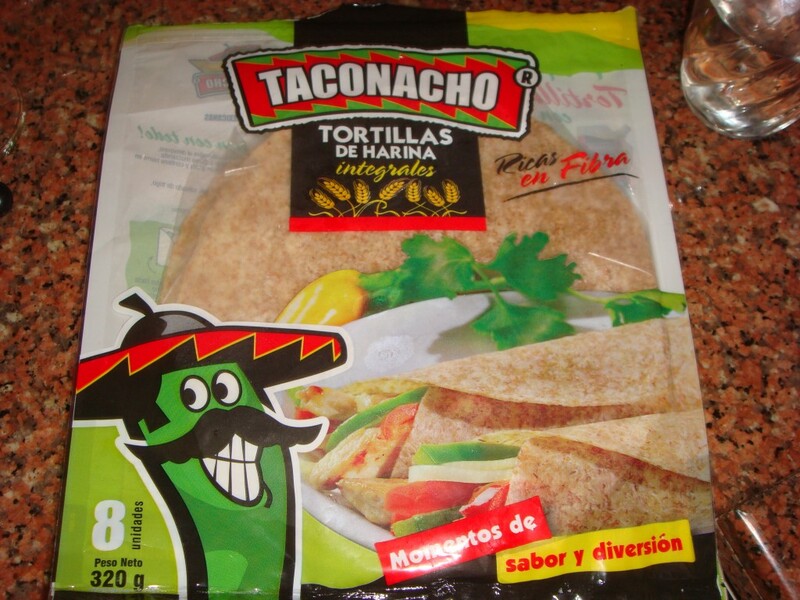 We also managed to find some whole wheat wraps! 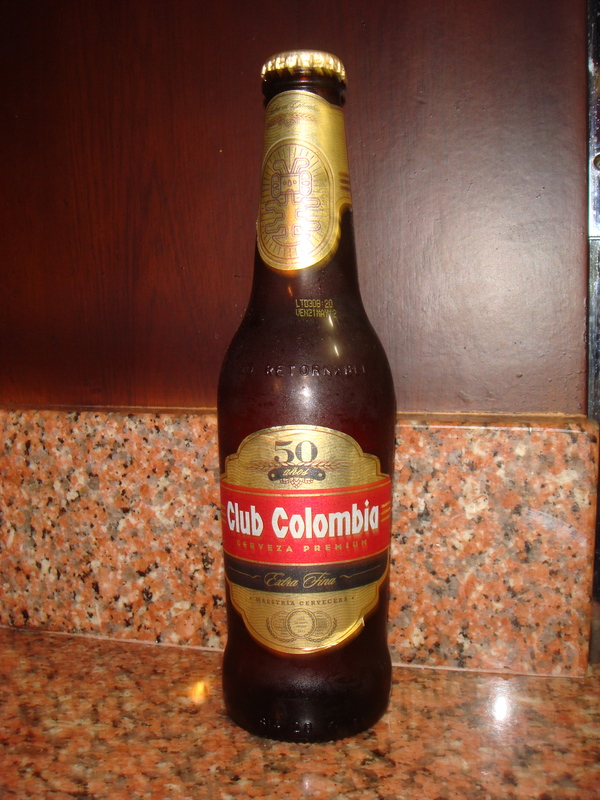 Last, but not least – John and I enjoyed an ice-cold Club Colombia while cooking. 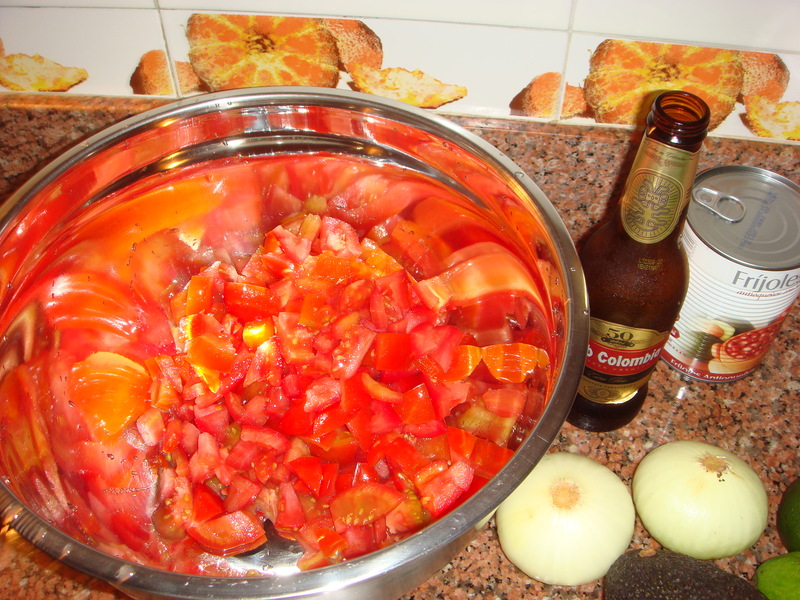 Add a Colombian twist to your next meal! Not only can you use this in fajitas, but it could also be a great topping for white fish, grilled meats, salads, chilli and as a bruschetta-like topping for an easy appetizer. Here’s where I’m writing my blogs these days – not bad right? Hi Lauren! I found your blog by following a link you posted on a recipe for Quinoa cookies. I’ve enjoyed reading through the posts, and I am definitely adding you to my ‘must follow’ list. I’m watching the snow fall here in St. Louis, Missouri, USA — and your pix of Colombia were a welcome reminder of sunshine. Thanks for the great blog! Thanks for the comment & the follow Aileen! I will continue posting pics of beautiful Colombia and the food & adventures I come across…I’m from Canada, so I know a little bit about snow 🙂 Stay warm! Hey Laur! Love reading and seeing your pics! Glad to hear you’re having an amazing time – keep posting.